EXCLUSIVE / The European Commission will today (20 January) announce an ocean energy action plan to set an energy forum and strategic roadmap in place by 2016, and ready a European Industrial Initiative for implementation by 2020. 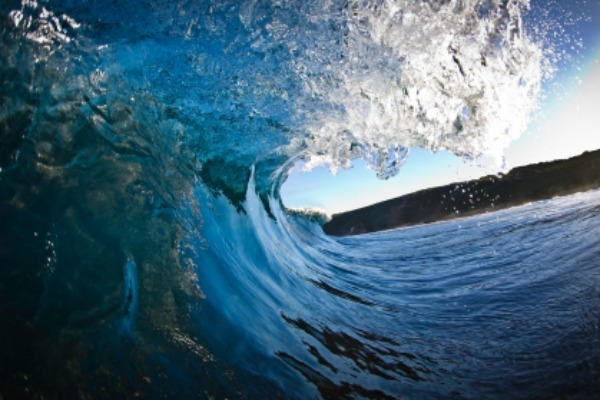 The communication, which EURACTIV has seen, promises that the new Ocean Energy Forum will “devise workable solutions” to problems facing the industry, ranging from hostile investment climates to maintenance work in harsh weather conditions. “Improving the affordability, reliability, survivability, operability and stability of ocean energy devices is essential,” says the communication. The paper focuses on the economic growth potential that ocean energy offers the ‘blue economy,’ a priority area under the Greek presidency. As many as 40,000 jobs could be created in the industry by 2035, according to an impact assessment accompanying the document, and Europe’s ocean energy industry aspires to provide 100GW of energy by 2050. In 2010, the World Energy Council even estimated that eight times that much electricity could potentially be exploited. But absent grid connections, and supply chain developments are both spanners in the works. Only 10MW of ocean-going devices are currently deployed in European waters and the industry must navigate from its current demonstration and prototype stage, to commercialisation. Here, the new forum is thought crucial. “Ocean energy projects are seen as quite high risk and attracting large investment is challenging because of ocean energy’s offshore nature,” Sian George, the CEO of Ocean Energy Europe told EURACTIV. The EU’s planned forum will bring together industry, diplomats, EU officials, and academics with representatives of financial institutions to create a support framework for new projects, with decision-making capabilities. Work on this would be combined with an ocean energy strategic roadmap that, by 2016, would set “clear targets for the industrial development of the sector as well as a timeframe for their achievements,” the paper says. In a second phase of action between 2017-2020, a European Industrial Initiative is foreseen that could mobilise investment through public-private partnerships, ahead of a wider roll-out of the technology. Remi Gruet, policy director for the EU-funded Ocean Energy Association, said that the communication was “very significant”. Most ocean energy technology developers are in Europe, and the global market could be worth up to €535 billion between 2010 and 2050, according to the UK’s Carbon Trust. “The ocean energy resource available globally exceeds our present and projected future energy needs,” the EU paper says. Exploitation of this indigenous resource – particularly the Atlantic seaboard – “would help to mitigate EU dependence on fossil fuels for electricity generation and enhance energy security,” the communication says. Because energy provided from oceans is relatively constant, it could also help to balance out that from other renewables such as wind and solar which are more variable. The submerged nature of ocean energy technology also minimises public acceptance issues. The communication does however note that more research is needed to quantify what, if any, environmental risk ocean energy projects might pose to marine habitats. Although currently under-utilised, ocean energy is mostly exploited by just a few technologies: Tidal, Salinity Gradient and Ocean Thermal Energy. The tidal energy sector is closest to commercial viability with developers working on arrays of units and multi-megawatt projects that use kinetic energy from tidal flows to power rotors or foils which in turn produce electrical energy. Salinity Gradient can be harnessed for energy by the use of either a pressure-retarded reverse osmosis process (with associated conversion mechanisms), or channeling freshwater upwelling through a turbine immersed in seawater. A third process involving electrochemical reactions is also in development. Ocean Thermal Energy Conversion (Otec) can provide baseload power by exploiting temperature differences between deep cold seawater and surface seawater to run a power cycle. Energy companies currently working to develop ocean energy include Alstom, E-on, DCNS, EDF and Scottish Development International. The EU's maritime affairs commissioner, Maria Damanaki, said: "As our Blue Growth strategy highlights, seas and oceans have the potential to generate huge economic growth and much-needed jobs. By helping the ocean energy sector to fully develop we can fulfil this potential through innovation while also securing clean, renewable energy for Europe." An estimated 0.1% of the energy in the world’s oceans could be capable of supplying the world’s energy needs five times over, but harnessing it is a complicated proposition. Around €600 million has already been invested in developing the technology in Europe in the last seven years but much more will be needed. Three ocean energy projects were awarded around €60 million in total under the first round of the EU’s carbon market-funded NER300 programme, which will enable the demonstration of arrays from 2016. Some projects have also been supported through EU structural and cohesion funds. The bloc’s Research Framework Programmes and the Intelligent Energy Europe Programme have provided up to €90 million of funding since the 1980s. Rather than “action plans”, and as sure as night follows day, the EC will be busy drawing up new regulations and directives which will strangle and finally kill any ocean energy schemes stone dead. Its in their genes. Ignore the jobs front for the moment. Sea Power such as the SEA GEN development in Strabgford Lough is definitely the way forward. Now even better place them across the Gozo to Malta Channel (Malta)…6 to 10 knots water speed. How about also across the North Channel between Northern Ireland and Scotland…who cares about nuclear submarines they are a lost cause now we have drones that can detect them 2,500 metres below sea level and the ice. I propose stringing a series of these across the Severn Estuary…so easy. What about capturing some of the four tides tidal movements around the Isle of Wight…simple. This sounds brilliant for Malta.